From the bestselling author of The Knowledge Web come fifty mesmerizing journeys into the history of technology, each following a chain of consequential events that ends precisely where it began. Whether exploring electromagnetic fields, the origin of hot chocolate, or DNA fingerprinting, these essays all illustrate the surprisingly circular nature of change. In "Room with (Half) a View," for instance, Burke muses about the partly obscured railway bridge outside his home on the Thames, a musing which sets off a chain of thought that leads from the bridge's engineer to Samuel Morse, to firearms inventor Sam Colt, and finally to a trombonist named Gustav Holst, who once lived in the very house that blocks Burke's view. 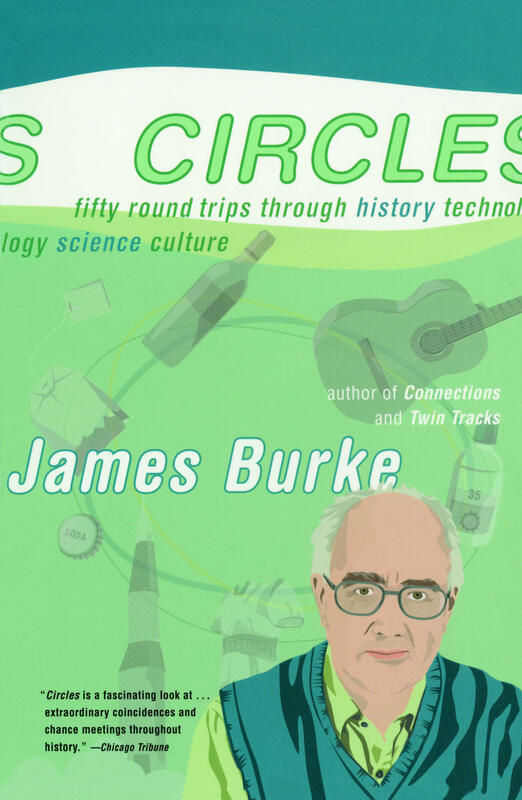 So it goes with Burke's entertaining and informative essays as each one highlights the interconnectedness of seemingly unrelated events and innovations. Romantic poetry leads to brandy distillation; tonic water connects through Leibniz to the first explorers to reach the North Pole. This unique collection is sure to stimulate and delight history buffs, technophiles, and anyone else with a healthy intellectual curiosity. I suppose my view of history tends away from the orderly and toward the chaotic, in the sense of that much overused phrase from chaos theory about the movement of a butterfly's wing in China causing storms on the other side of the world. Which is why I decided to have a go at reproducing the butterfly effect on the great web of knowledge across which I travel in these essays. This thought came to me at the sight of a giant cabbage white in a Lepidoptera exhibit at the Natural History Museum in London, which reminded me of the other great Natural History Museum, the Smithsonian. Which owes its life to the persistence of one Robert Dale Owen. The two-term Democrat from Indiana almost single-handedly pushed through Congress the 1845 Bill accepting the Englishman James Smithson's $2-billion-and-change bequest (in today's money) that helped to set up the esteemed institution. Owen's efforts also involved unraveling one of the shadier deals in American financial history: most of Smithson's money, which had arrived in the United States a few years before, was at the time in the dubious grip of a foundering real estate bank in Arkansas, into which the U.S. Treasury had thoughtlessly placed it for safekeeping. Owen was a liberal thinker, the son of a famous British reformer who had earlier started an unsuccessful utopian community in New Harmony, Indiana. Well ahead of his time, Owen championed women's rights, the use of plank roads (for rural areas not served by the railroads), emancipation, and family planning. This last he espoused in a pamphlet in 1830. Subtitled "A Brief and Plain Treatise on the Population Question" (which gives you a feel for the cut of his jib), it advocated birth control by everybody and included three examples of how you did it. Two years later much of Owen's text was lifted (unacknowledged) for a bestselling tract by Dr. Charles Knowlton of Boston: "The Fruits of Philosophy," which went into greater physiological detail. Forty years on, Knowlton's/Owen's work was republished by activist Annie Besant in England, where it was judged obscene and likely to pervert morals. Ms. Besant conducted her own defense at the trial and in doing so became the first woman to speak publicly about contraception. Which earned her a fine and a sentence. Undeterred, Besant took up larger causes: Indian independence (she was President of the first Indian National Congress), vegetarianism, and comparative religion. This was some years after she'd broken off a romantic interlude with another left-winger, a penniless nobody called George Bernard Shaw, with whom Annie played piano duets at the regular meetings of William Morris's Socialist League in London. Later, Shaw would become fairly well known as the author of Pygmalion and then world-famous as the author of its Hollywood remake, My Fair Lady. The play was all about talking proper (which Eliza Doolittle didn't, you may recall) and featured a prof. of elocution, Henry Higgins, whom Shaw modeled on a real-life linguistic academic named Henry Sweet. In the 1880s Sweet was one of the inventors of the phonetic alphabet, interest in which was triggered by the contemporary craze for old languages kicked off by William Jones, a Welsh judge in Calcutta. In 1786 Jones had revealed the extraordinary similarities between the ancient Indian language of Sanskrit and Latin and Greek. The revelation revved up nationalism among early-nineteenth-century Romantic movement Germans (whose country had not long before lost a war with the French and was going through a period of cultural paranoia) because it gave them the idea that they might be able to trace their linguistic roots back into the Indo-European mists of time, thus proving they had a heritage at least as paleolithic as anybody in Paris. This mania for reviving the nation's pride might have been why German graduate students were also getting grants for such big-science projects as sending out forty thousand questionnaires to teachers all over the country asking them how the local dialect speakers pronounced the sentence "In winter the dry leaves fly through the air." On the basis of such fundamental research, pronunciation atlases were produced, and dialectology became respectable. So much so that at the University of Jena, a guy called Edward Schwann even got the money to do a phonometric study of zee French accent. Nice work if you can get it. Schwann was aided in his task by the eminent German physicist Ernst Pringsheim. In 1876 Pringsheim was one of the science biggies visited by Franz Boll, a researcher who was working on the process by which the human eye is able to see in low light, thanks to the presence of a particular chemical. Or not, in the case of its absence. The whole view of such visual deficiency was taken a stage further by a sharp-eyed Dutch medical type, Christiaan Eijkman. This person happened to be in Java with a Dutch hospital unit, sent out there in 1886 to grapple with the problem of beriberi, a disease that was laying low large numbers of colonial administrators and army people. Eijkman happened to notice some chickens staggering about the hospital compound with symptoms not unlike those of the disease he was studying. But because these were chickens and not humans, he did nothing about it. Until suddenly, one day the chickens got instantly better. What kind of fowl play was going on here? Turned out, the new cook at the hospital had decided that what was good enough for the local Javanese workers was good enough for birds. So he had stopped feeding to the chickens gourmet leftovers from the table of the European medical staff. Difference being in the rice. Europeans were given polished rice ("military rice"); locals and the chickens got the stuff with the hulls left on ("paddy"). Months of chicken-and-rice tests by Eijkman ended up with a meaningful thought: There had to be something in the rice hulls that was curing the chickens. Or, to put it more meaningfully, without this "something" in their diet, the chickens got the staggers. So was that why people did the same? A few years later, in England, Gowland Hopkins, an ex-insurance broker turned biochemist, observed that baby rats wouldn't grow, no matter what they were fed, if their diet didn't include milk. He became convinced there was something in normal food that was essential for health and that wasn't protein, carbohydrate, fat, or salt. Gowland labeled these mystery materials "accessory food factors" and went on to share the Nobel with Eijkman, because their work would lead to the discovery of what these accessories actually were: vitamins (in the case of the chickens, thiamine). Now, why all this made me think that how the web works might remind you distantly of chaos theory was because of what Gowland had been doing before he got into nutrition. 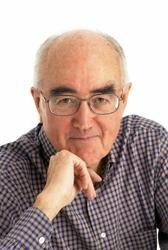 He was able to work with pure proteins and their role in nutrition once new techniques had been developed (at Guy's Hospital in London, where Gowland had trained) to analyze uric acid proteins in urine. And he was interested in uric acid because his very first scientific work had been with insects, when he had conjectured (wrongly, as it turned out) that uric acid was involved in producing the white pigment of the wings of the cabbage white butterfly.